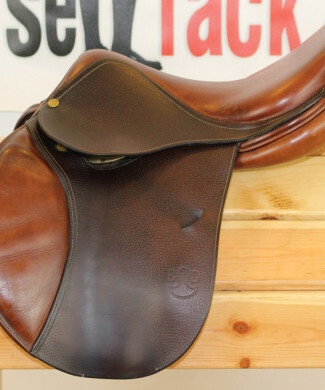 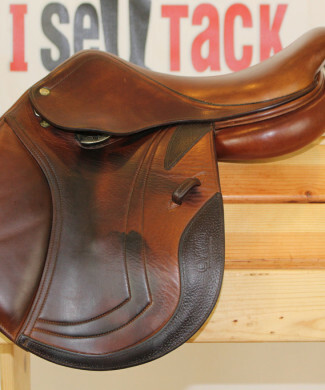 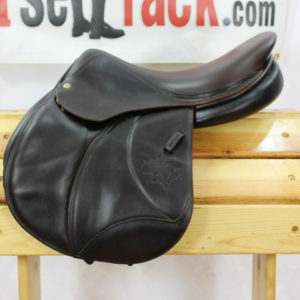 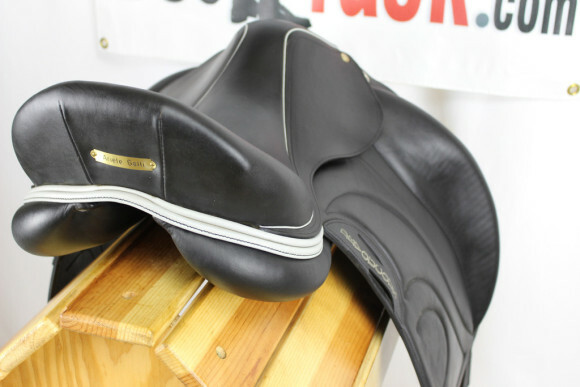 PRISTINE, full buffalo, 2014 Devoucoux Loreak saddle with a 18″ seat and a regular 4.5″ tree featuring long flaps measuring 16.25″ long by 14″ wide. 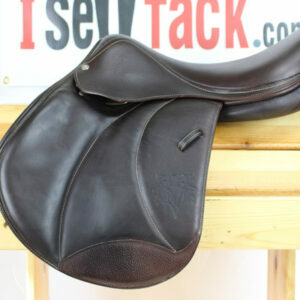 This is a gorgeous saddle in excellent condition. Comes with D3D technology. 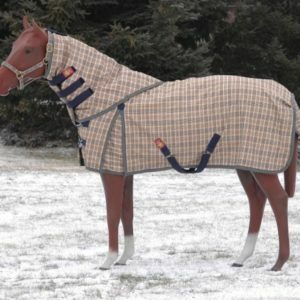 These panels are made to fit a lot of horses! 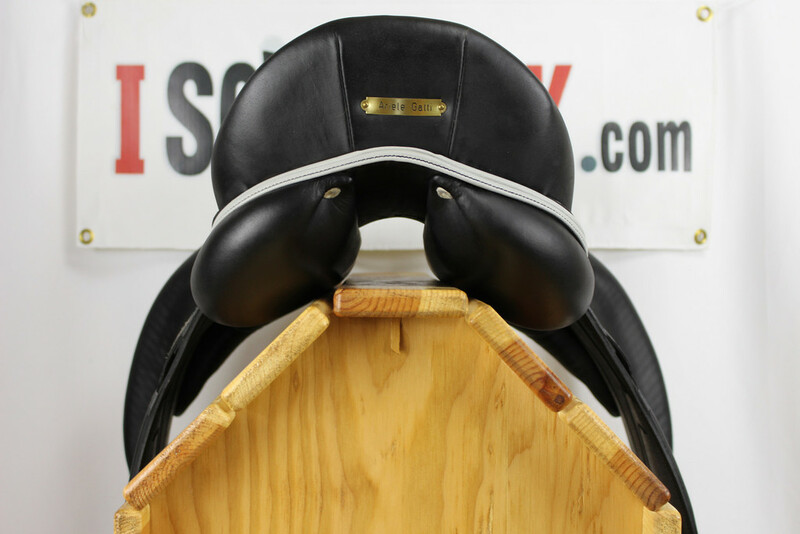 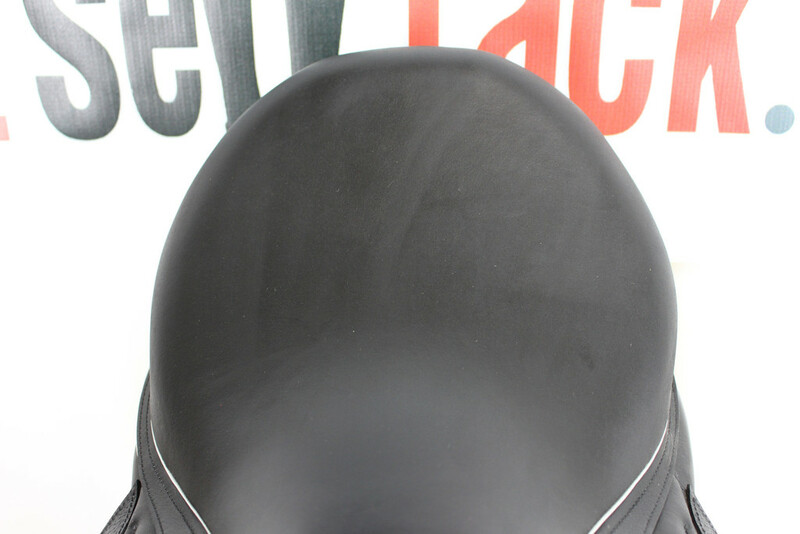 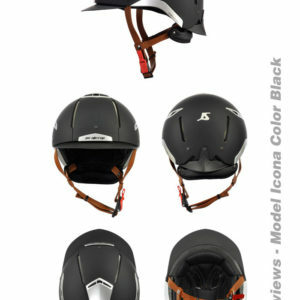 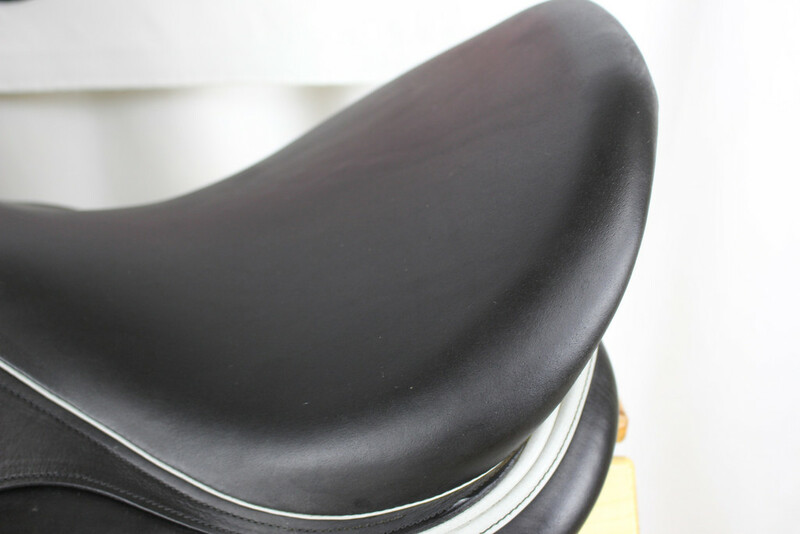 An exceptional saddle that is functional as well as secure. 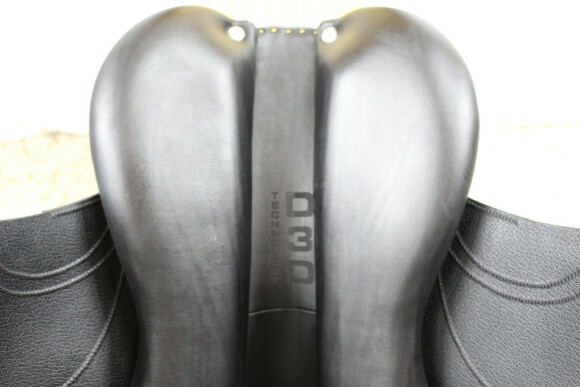 Grippy and comfortable! 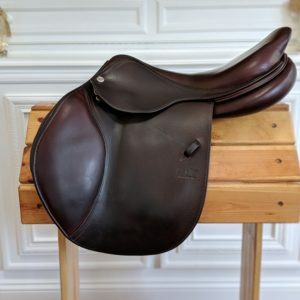 Trial available! 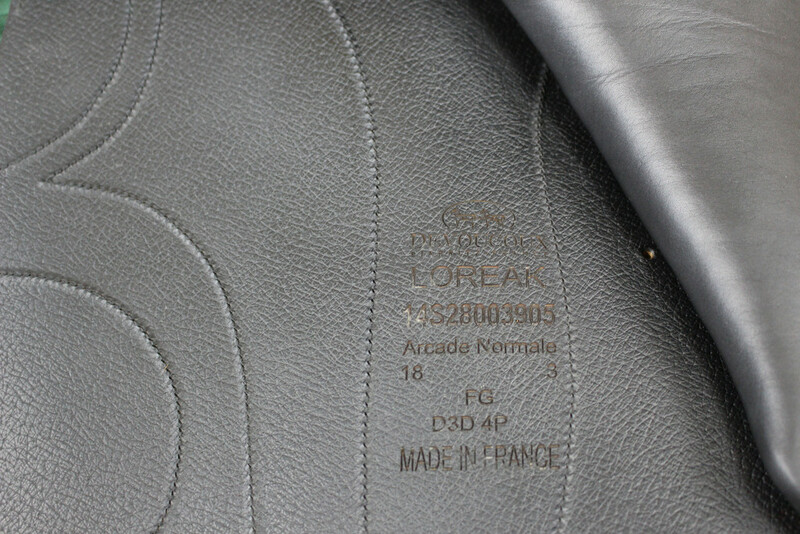 Serial number 14 S28003905. 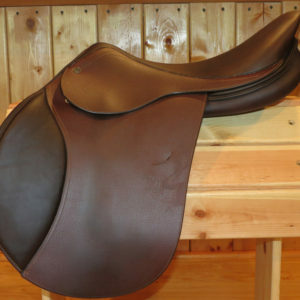 Price $5,275. 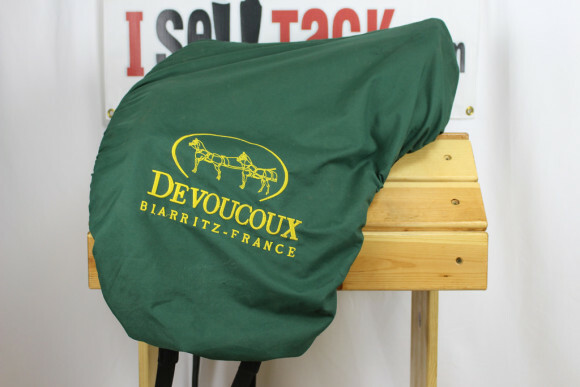 Sells with lined, Devoucoux saddle cover. 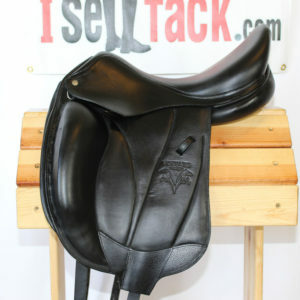 rachel@iselltack.com. 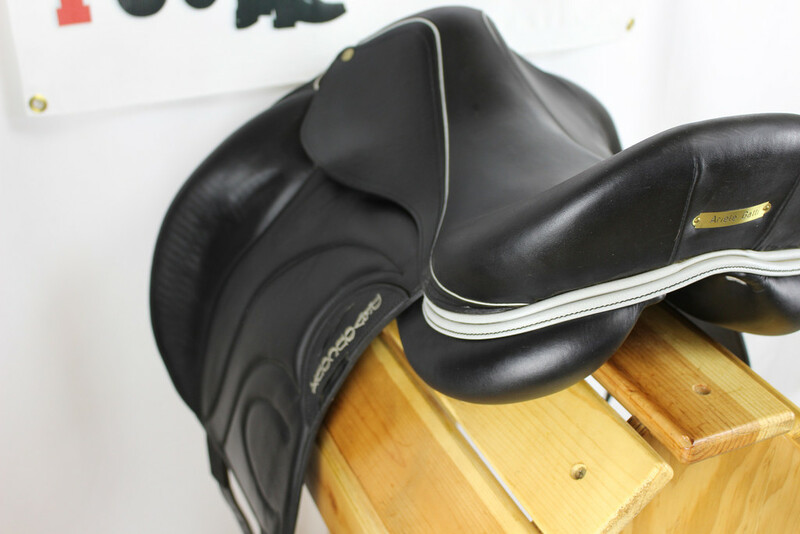 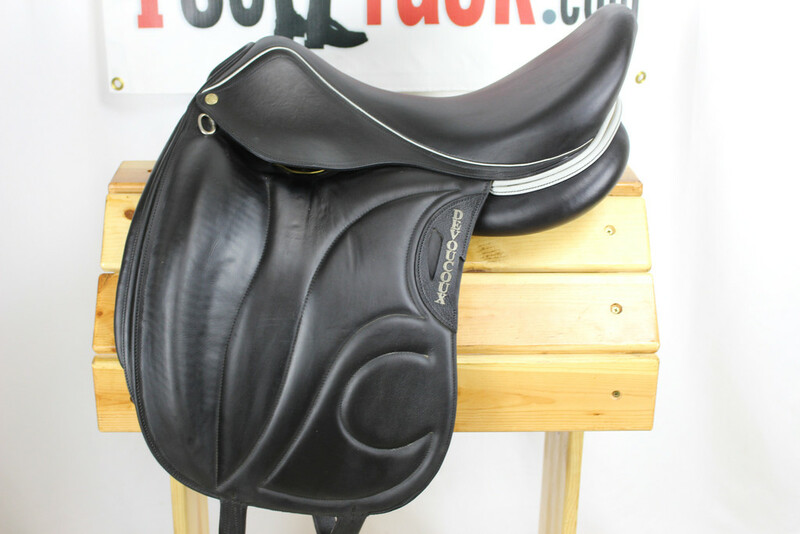 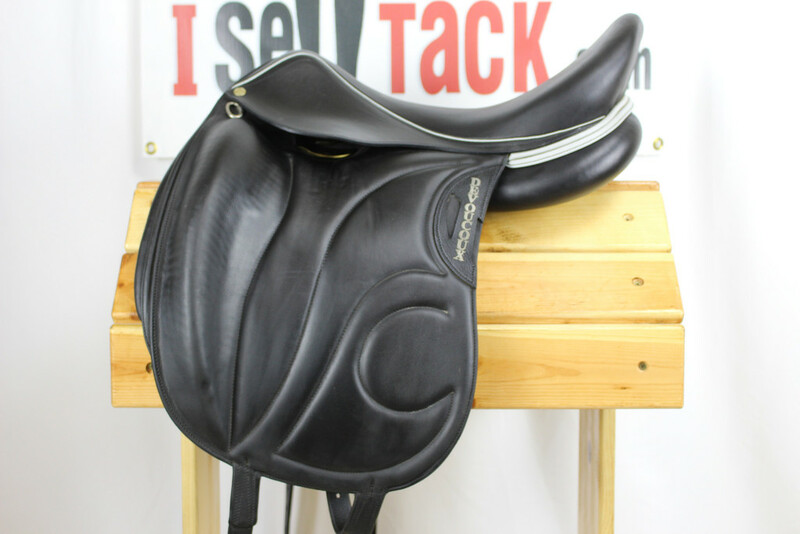 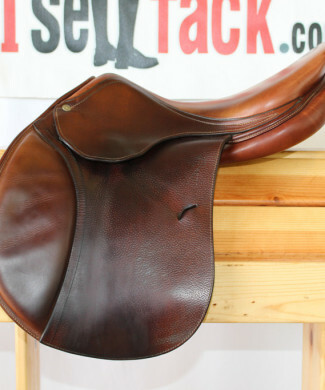 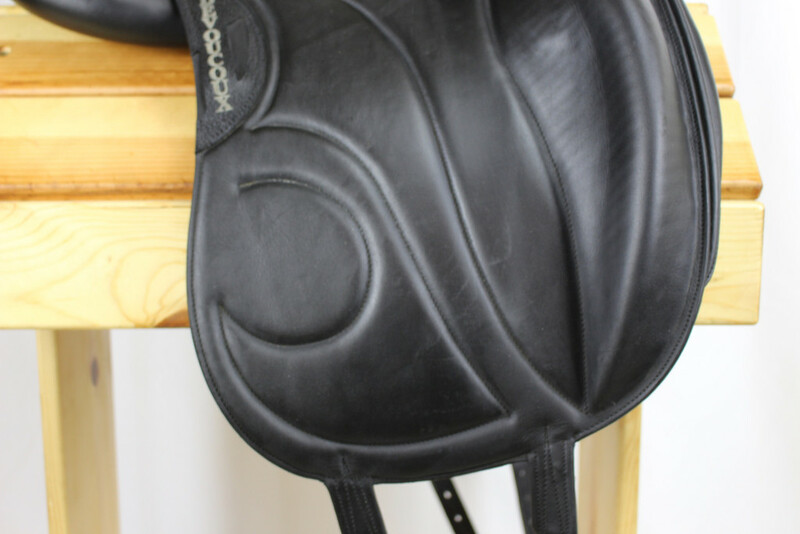 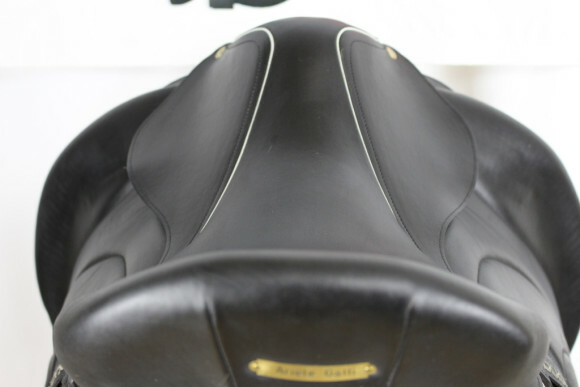 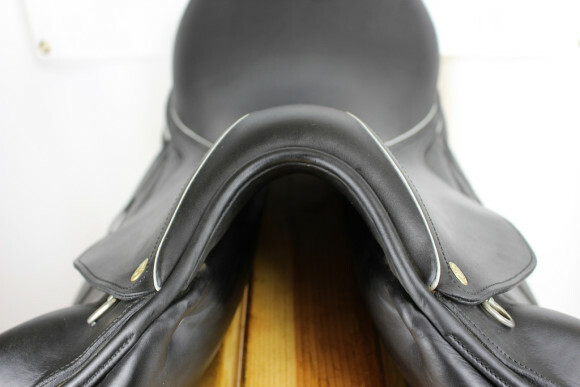 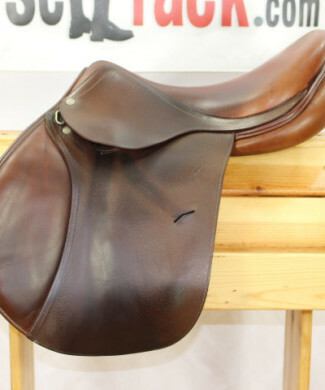 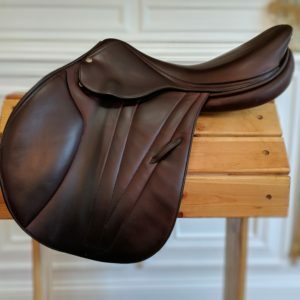 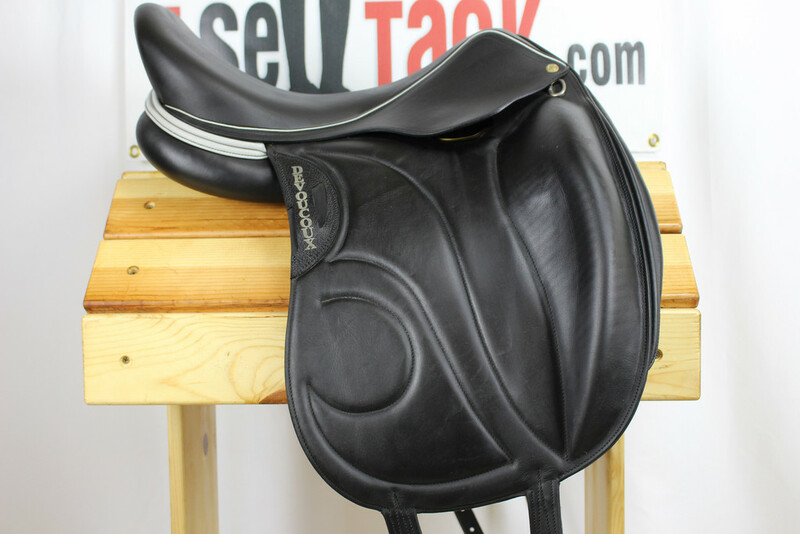 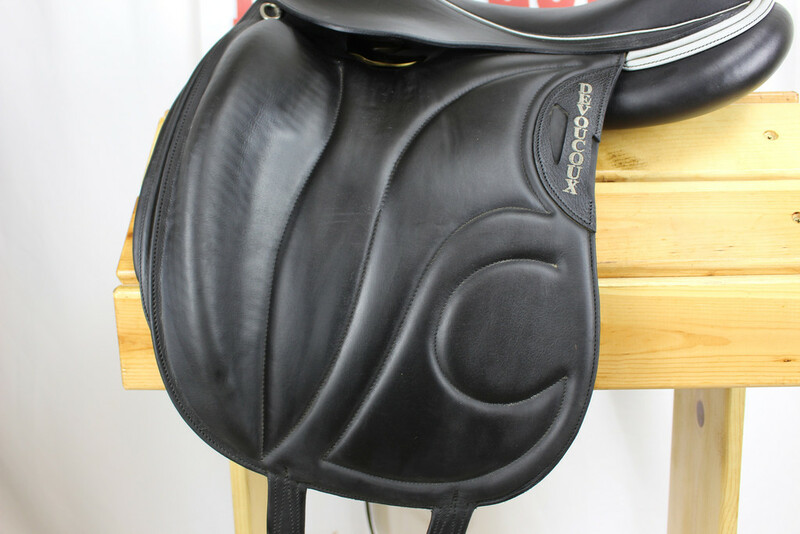 From the Devoucoux website: Single flap dressage saddle The form, structure and texture of this dressage saddle enhance the harmony between rider and horse. 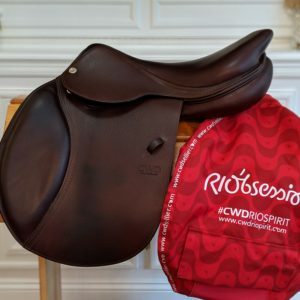 The single flap design of the Makila saddle, with its prominent knee/thigh blocks and stirrup bars positioned further back than usual, guarantees the rider perfect stability in elevated paces and transitions. 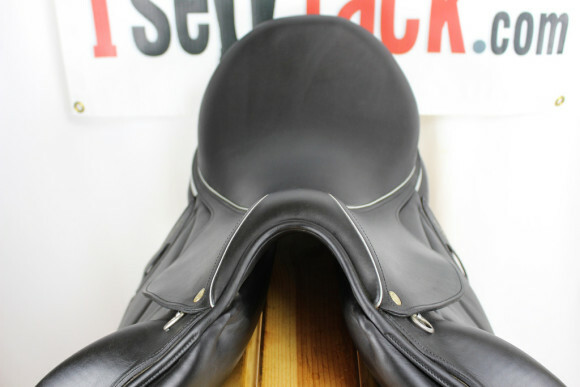 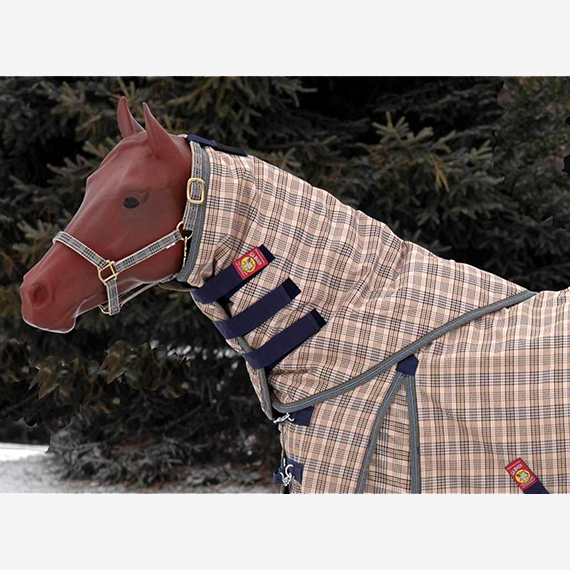 Its deep seat is particularly suited to experienced dressage riders. 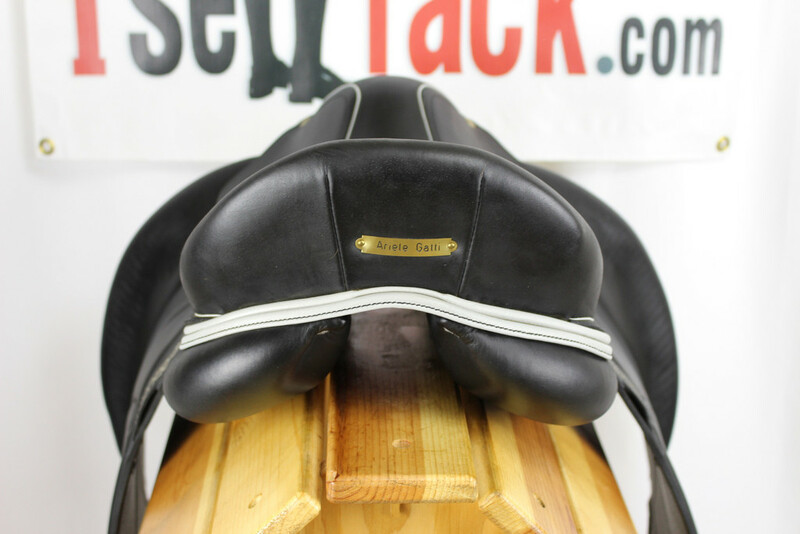 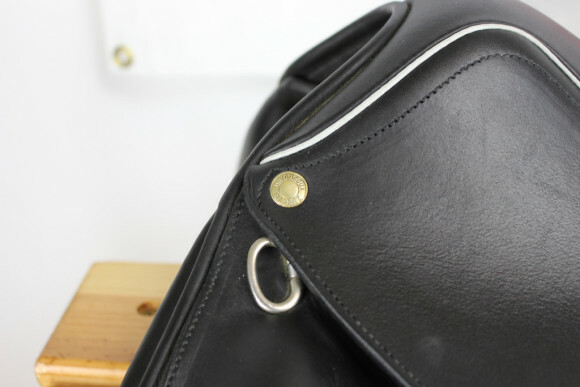 Made of calfskin or buffalo leather for greater stability of the legs and pelvis. 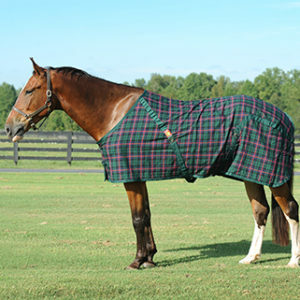 Registered model.